This fall, we made a trip out to St. Louis to visit our dear friends, Kyle and Jenny and their two boys. Being the cool, hip people that they are, they made sure to show us some of the city’s best vegan-friendly restaurants. Unfortunately, we forgot our camera and had to make do with the camera on our Ipod, so apologies for the quality of the pictures. 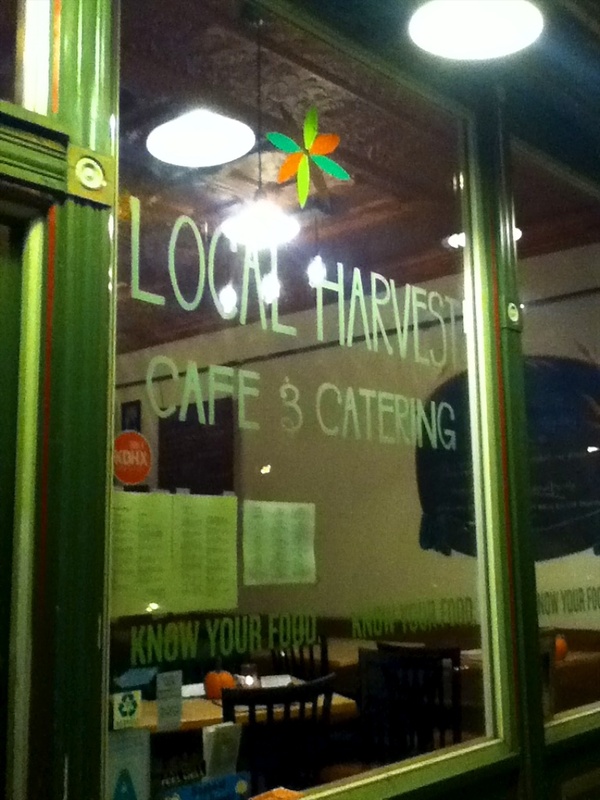 Our first visit was to Local Harvest, a cafe specializing in local produce. Given the nice weather, we took seats at their outside tables. 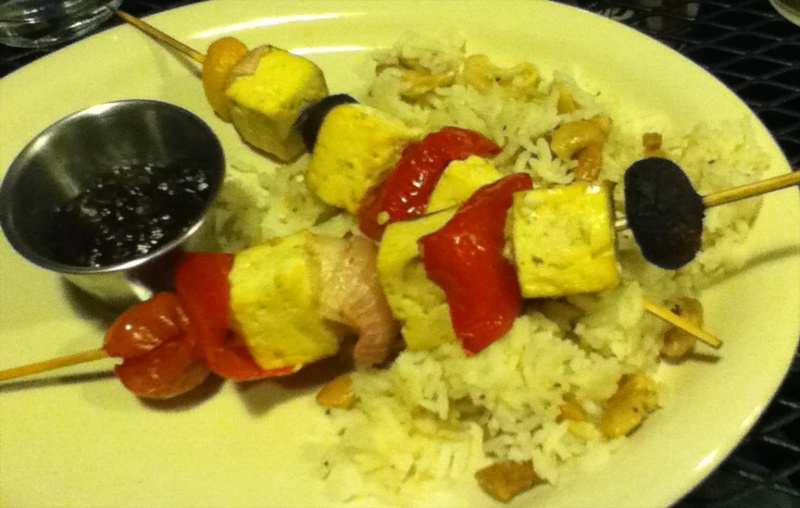 I went with the special of the night – tofu skewers on almond rice. To be honest, this was just ok – but I probably should’ve stuck with one of their regular dishes – they’re favorites, that’s why they made it to the menu! 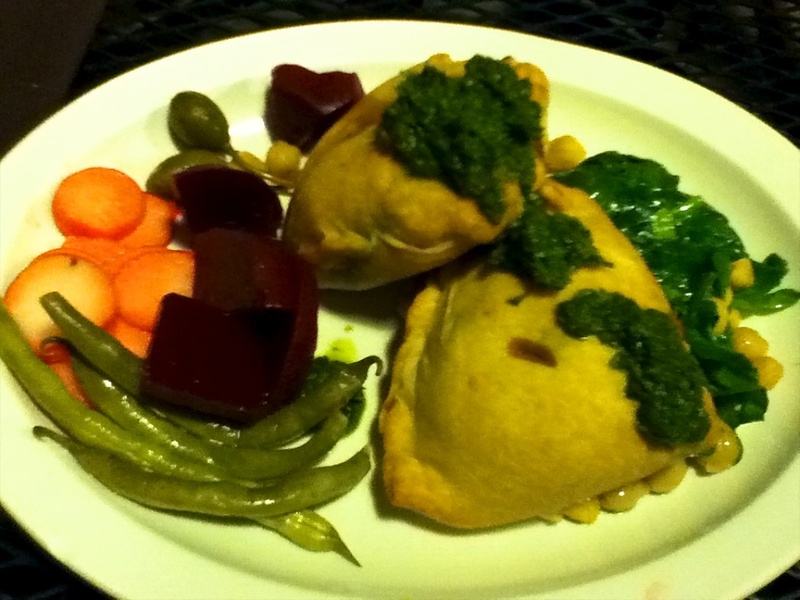 Sunnie went with their vegan samosas which was awesome and was served with pickled vegetables and topped with chutney. We were talking to Kyle and Jenny about our garden, and were describing kkaennip to them. 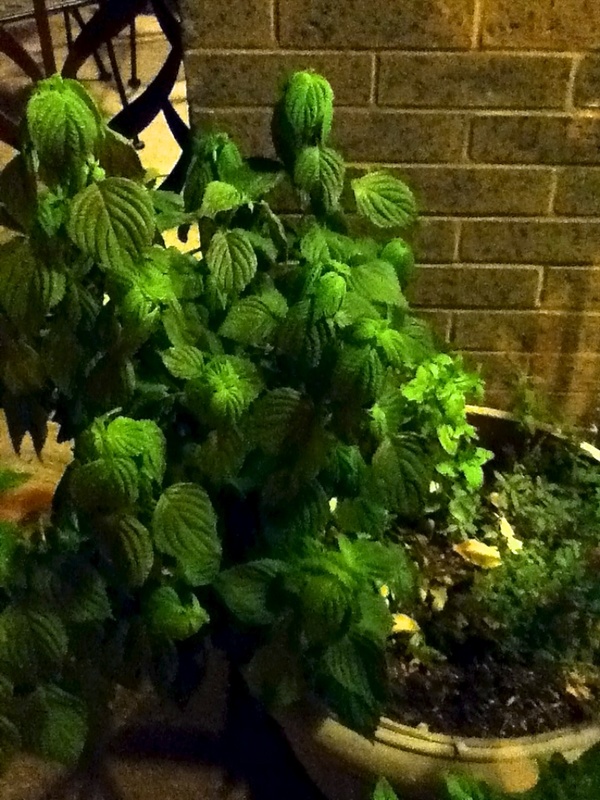 I happened to look past Jenny while I was describing the plant and said, “well it kind of looks like that!” Upon closer inspection, the cafe did indeed have a kkaennip plant growing out front. How crazy is that?! The next morning, we headed out to the awesome Soulard farmer’s market. It dates to 1779 – I love that! After working up an appetite at the market, we decided to head for brunch at the Black Bear Bakery. Focusing on local, organic, and sustainable business, the bakery was very cool. You could see how much they had reused items in the decor and even the ovens of the bakery. They had a bunch of vegan options on the brunch buffet. I am a huge breakfast nut, so this was an absolute treat for me. 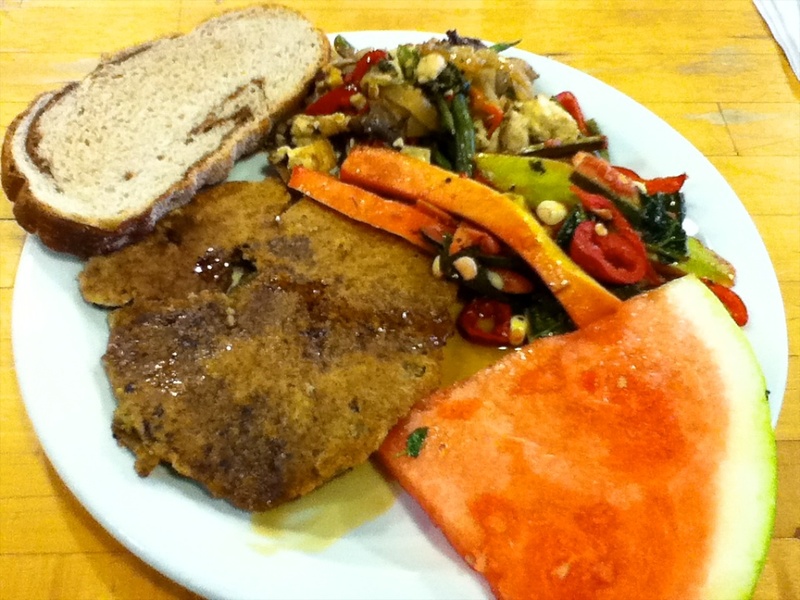 With a yummy tofu scramble, pancakes, frilled vegetables, fruit, and bread, we really stuffed ourselves. Our gracious hosts, while not vegetarian, wanted to cook us a vegan dinner as well. 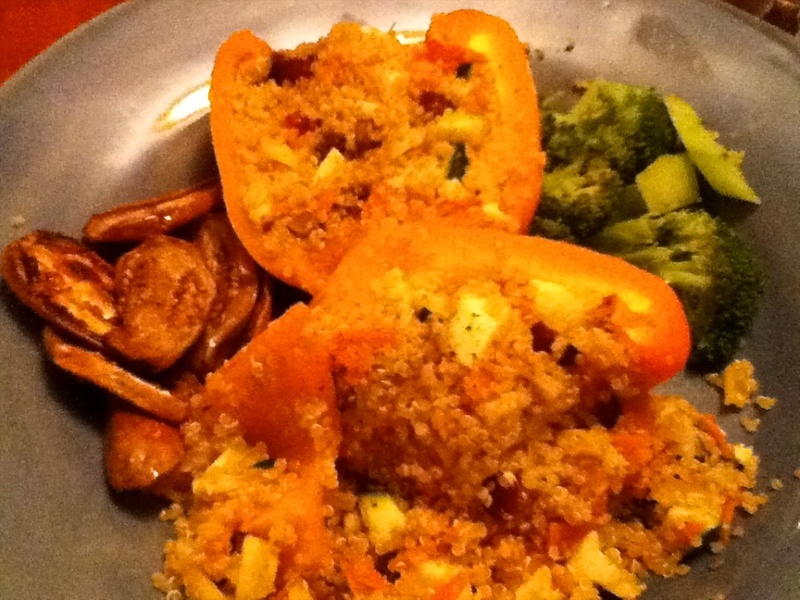 They prepared us roasted peppers stuffed with couscous and vegan cheese. I sometimes forget how filling couscous is, and yeah, again with the stuffing. 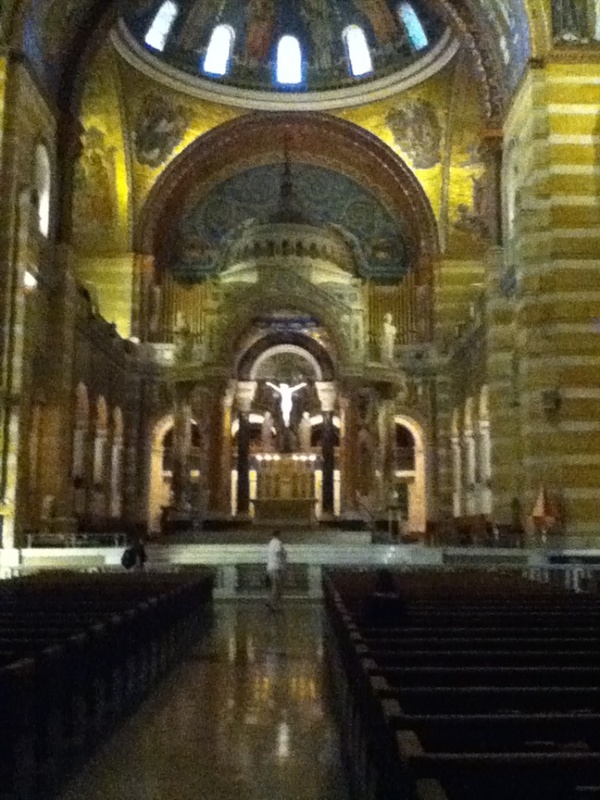 After checking out the awesome weirdness that is the St. Louis City Museum (kind of like a surreal playground for adults in an old factory), we checked out the Cathedral Basilica of St. Louis that had amazing mosaic tile throughout the entire huge ceiling. 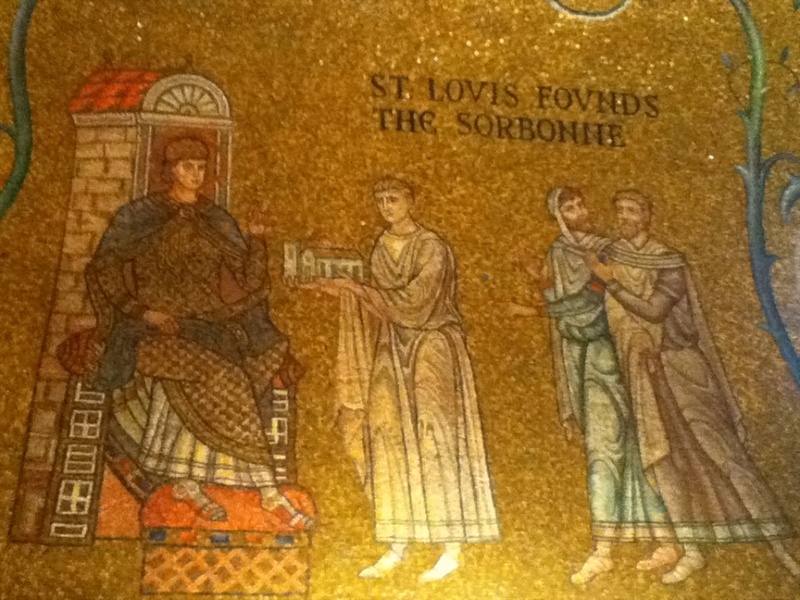 Again, its unfortunate I forgot my camera, because the fuzzy pictures don’t capture the beauty of the building and its mosaics. 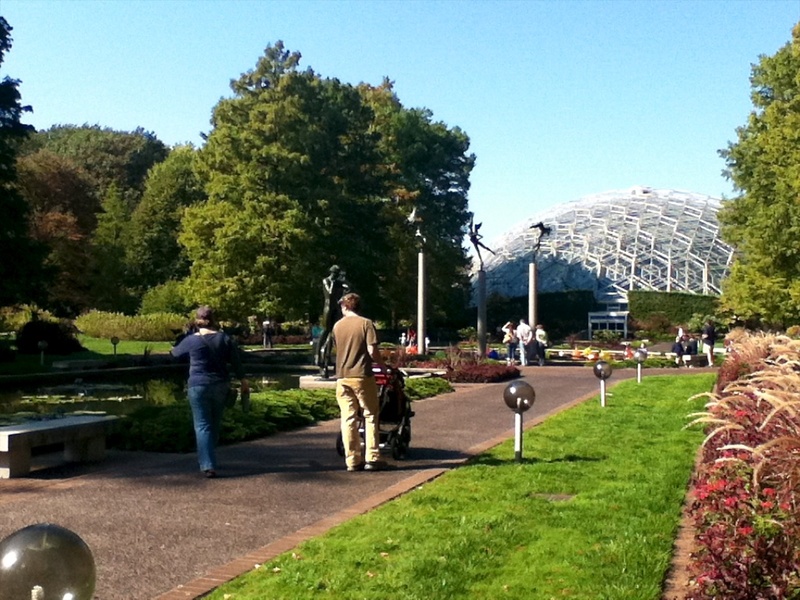 We concluded our visit by checking out the fantastic Missouri Botanical gardens – an expansive garden that houses the Climatron, a huge geodesic dome and greenhouse. 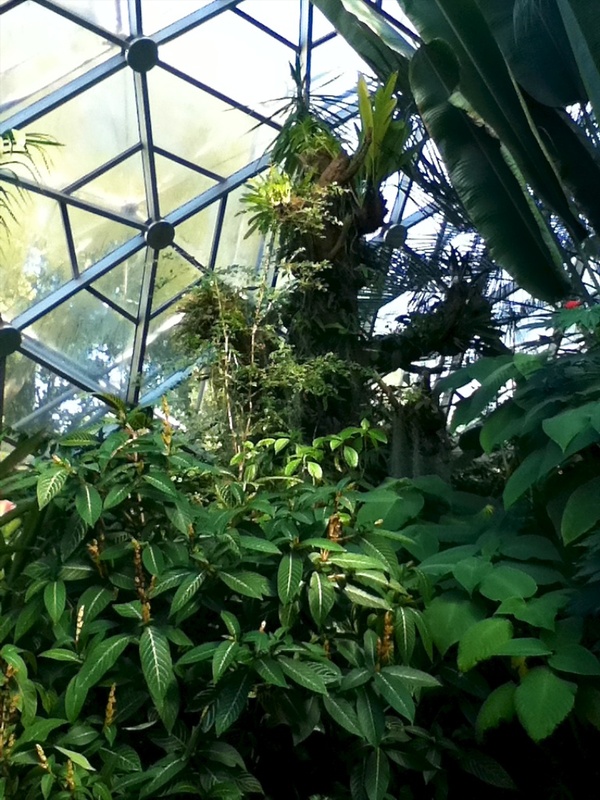 Inside is like a rainforest with huge trees reaching up to the top of the dome. 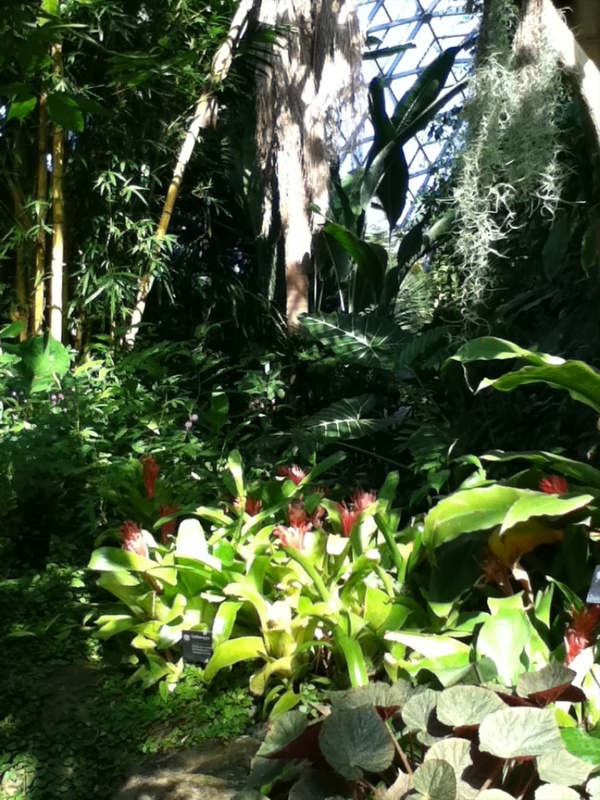 And dense, vibrant foliage throughout. What a great time we had in St. Louis. We were sad to see Kyle and Jenny move out of Indiana, but it was great to have the opportunity to have them show us around St. Louis, including some awesome vegan food. Can’t wait to go back! ← Oksoosoo-Cha (Korean Winter Roasted Corn Tea)! Hi, Lu! I didn’t remember that. The cathedral was absolutely huge, and I loved the fact that the farmer’s market was so old. Very cool. There was a lot to see there. I don’t know if we missed out on any vegan spots, but we certainly enjoyed the ones we went to!